New pea, lentil varieties fare well in southeastern Alta. Growers and agronomists in North Dakota were wondering in early July if any spring wheat would be produced in the western half of the state. Parts of the region were in an extreme drought: as little to no rain had fallen since April. 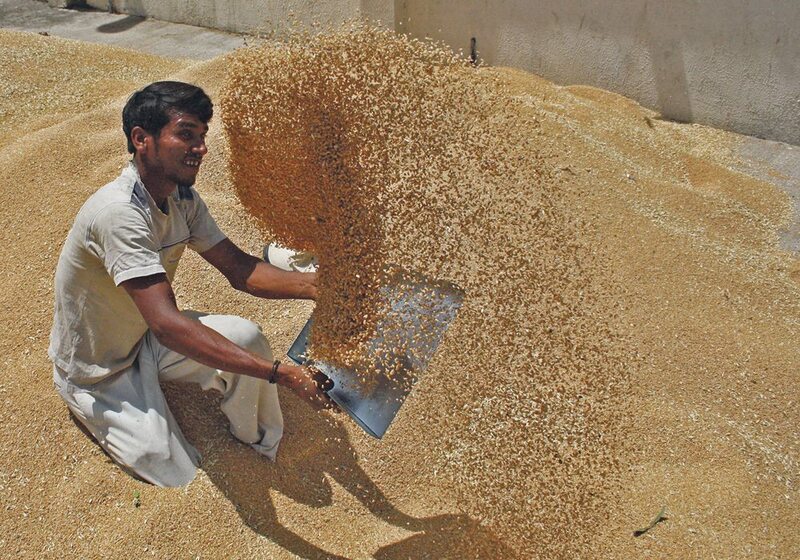 As well, blistering heat, in the range of 35 C, scorched the crop in early July. The region remained hot and dry well into the month, but the spring wheat crop was more resilient than projected. 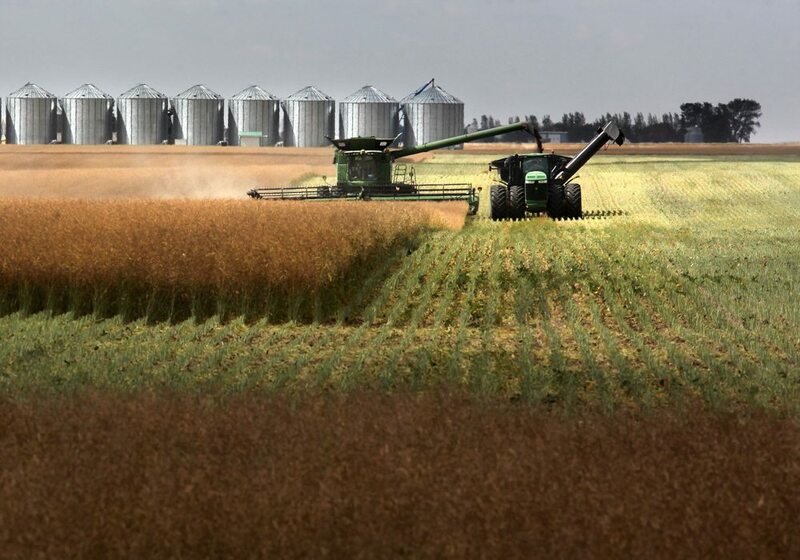 “Now that we’ve got into combining … yields actually were a little better than people were expecting,” said John Rickertsen, a North Dakota State University extension agronomist in Hettinger, about 20 kilometres from the South Dakota border. Spring wheat yields of 45 to 60 bu. per acre are more typical for the region. Rickertsen said yields would likely be half of normal. That’s not great, but considering Hettinger received almost no rain from April until early July, any yield is a bonus. “We had really (good) stored moisture,” Rickertsen said before seeding. The story is similar in other parts of western North Dakota. Erica Olson, a North Dakota Wheat Commission marketing specialist, has heard yield reports of 15 to 25 bu. an acre in the drought area. The spring wheat yields are higher, more like 25 bu., in the west-central part of the state. “The yields aren’t anything great, just better than what they would have expected given the weather,” Olson said. The spring wheat harvest in North Dakota has been delayed because rained finally arrived in early August. Clair Keene, a NDSU extension agronomist in Williston, said 25 to 50 millimetres of rain have fallen in the last couple of weeks. “We had the worst possible conditions for a wheat crop,” Rickertsen said. North Dakota farmers planted 5.25 million acres of spring wheat this year, about half of the total spring wheat crop in the United States. Hard red spring wheat futures in Minneapolis went from less than $6 per bu. in early June to nearly $8 per bu. in early July. By mid-August the market had lost about half of those gains as spring wheat futures traded around $6.90 per bu. The June rally may have been overcooked because spring wheat is grown across North Dakota, not only in the western portion of the state. Olson said North Dakota is divided into west, central and east growing regions, with each region representing about a third of spring wheat production. Growers in the east have reported average spring wheat yields, of 45 to 60 bu. per acre. Yields may be better than expected in southwestern North Dakota, but a significant percentage of the spring wheat crop was not harvested. Rickertsen estimated that 40 percent of the crop, in the southwest, was baled before harvest for livestock feed. 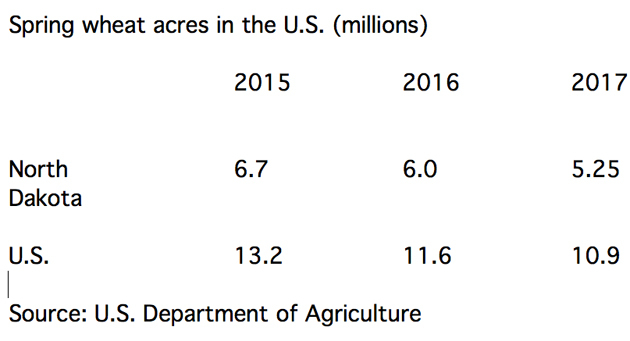 “It will interesting to see what ag stats say, harvested acres versus planted acres,” he said.